Andrea and Robert join the team! Andrea grew up in Gladstone, Central Queensland, before attending the University of Queensland to study Veterinary Science. Through this degree, she was able to do practical work across a broad range of agricultural industries – from feedlots around Bell, down to New South Wales for bull testing and to India, working with foot and mouth disease affected livestock. Andrea also worked on the family mixed enterprise (sheep, cattle and goats) property near Cunnamulla. 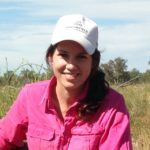 Since graduating, Andrea has worked as a vet in New South Wales, Queensland and the Northern Territory, which has highlighted the variation in Australian production systems. It has given Andrea an understanding of the common animal health issues facing producers, their impact on key production indicators and the factors that restrict management strategies. Robert was raised on a mixed livestock and cropping property near Warwick before studying at the University of Queensland. After graduating from UQ, he worked in water resource engineering and was involved in several interesting projects including flood mitigation strategies for Emerald post the 2010/2011 flood event. After four years, Robert decided to expand his formal training in business and finance and pursue a career more closely aligned with his agricultural background. In 2015/2016, Robert completed postgraduate studies in a Finance Masters program in Amsterdam. Since July 2016, Robert has been working with beef producers in a Far North Queensland agribusiness consultancy. 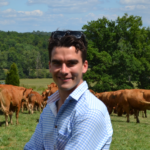 In this role, he has been involved in several DAF FutureBeef projects including the Next Generation Mentoring Program, Beef$ense and the Drought Resilience Project. Through these projects, Robert has developed an awareness of the key production, profitability and sustainability drivers of the north Queensland beef industry.